You are currently browsing the category archive for the ‘Conspiracy and Imprisonment’ category. Dr. Jim Garlow has traveled the world imparting to global leaders the powerful truth that God’s Word provides instructions for every area of life, including government. In a recent interview with My Faith Votes, Dr. Jim Garlow, Founder and CEO of Well Versed, provided some great takeaways for us to bring biblical change to our spheres of influence. 1. Is America headed in the right direction? “According to a Barna study from 2013, 90% of pastors acknowledge that the Bible speaks to the cultural, political, and social issues of the day. But ask those same pastors if they have or would speak on those issues, 90% said no. Therein lies the problem. 2. When you look at the culture and assess where things are headed, what concerns you the most? “The absence of the understanding of the word of God and the lack of capacity to apply it. 92% of the people in the pew do not have a biblical worldview. What worldview do they have then? They have a secular worldview. If you go to millennials, you are down to only 4% having a biblical worldview. 3. We’ve come out of a hyper election season with a record number of dollars spent and record turnout. How can Christians continue to take bold steps to change culture? “Number one, care. Care about the nation. Care about what’s happening in the community. We operate under this myth that the way things are are the way things are going to stay. That is not true. “Cultures come and cultures go. Nations come and nations go. All the great nations that once existed never thought they would be done, but they ended, every one of them. America is not going to last forever. And we can bring it to a painstaking close by simply defaulting and not showing up for the game. “For example, the reason we know the stories of Shadrach, Meshach, and Abednego? They were bold! 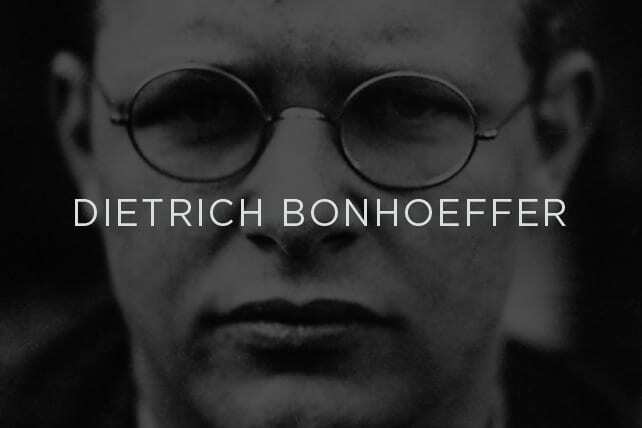 “The reason we know the story of Dietrich Bonhoeffer? He was bold! Everybody likes to preach about him, it’s time to start acting like him. April 9, 1945, Bonhoeffer was stripped of his clothes in the German cold air and hung by a piano wire — killed. Why do we remember Dietrich Bonhoeffer? Was it because he had the largest church? Was the most popular guy? No. Wrote a bestseller? No. Had a big radio and TV ministry? No. We remember him because he stood for truth. “On April 5, 1943, when Bonhoeffer called (brother-in-law) Hans von) Dohnanyi’s home, a strange voice answered the phone. Bonhoeffer hung up. He then knew that the Gestapo had finally caught up with them. They were searching Dohnanyi’s house right that very minute. His parent’s house would be next. Calmy he went next door, where his sister Ursula lived. He told her the Gestapo would soon arrive and arrest him. She made him a hearty lunch. ~ Patricia McCormick, The Plot to Kill Hitler, 121. ~ Patricia McCormick, The Plot to Kill Hitler, 97. How Can We Turn the Tide to the Biblical Void in American Pulpits and Pews? “Who can name all the other pastors in Berlin at that time who wimped out? We can’t name one. The comparison between Advent and a prison cell may seem strange. It evokes powerlessness, perhaps even hopelessness. However, it is this particular type of waiting that Bonhoeffer believes best prepares us for Christ’s coming. Although a Nazi prison gave him this metaphor, the sermons he wrote during his time of active ministry also present a similar vision of Advent waiting. In these sermons, Bonhoeffer sees the season before Christmas as a sharpened liturgical expression of the tension that informs our entire lives as Christians. Celebrating it prepares us to live as people who have made a radical break with the present world of sin and death and are also preparing for the redeemed future that God has already, in one sense, accomplished. Through Advent, we learn how to live in these two concurrent realities: We have already been delivered, and yet our deliverance is still to come. Bonhoeffer’s Christmas and Advent sermons highlight three figures who exemplify life amid this tension and, by their example, might guide us through this season. Learning how to wait from these figures will not be warm and cozy but deep, dangerous, and shot through with sorrow and pain. The first figure is Moses. This is not the triumphant Moses leading the people of Israel through a miraculously parted Red Sea or the lawgiver Moses carrying the stone tablets down the mountainside. Rather, the Advent Moses is the one found in Deuteronomy 32:48–52. Moses knows that God’s promise will be fulfilled, but he also knows that the promise will not be fulfilled in his lifetime. Instead, he will die on Mount Nebo, gazing across the river into the land. This Moses seems at first like the very antithesis of Advent, since he is the one for whom the promise is never fulfilled. What will catch the reader’s eye immediately is Hendrix’s striking three-color art. The book is not a panel-by-panel graphic novel, but rather an inventive combination of text blocks and illustration. Each spread has its own ingenious design, shuttling between the literal and the allegorical: As the text talks about Hitler undermining the power of President Hindenburg and the Reichstag (“teetering like a German spruce”), the illustration shows the Führer literally hacking down the tree of state, a startled German imperial eagle taking flight. Many people have been killed for their faith through the ages. Interestingly, the word we use today to talk about someone who is killed for their beliefs, martyr, is the basic Greek word used in the New Testament which is translated “witness.” Therefore, when Jesus said, “ye shall be witnesses unto me” in Acts 1:8 it had great significance to them. This does not mean that every follower of Christ will be killed for their faith, but because the witness of the early church followers lead to their martyrdom, we use the word today to mean someone who dies for their faith. Here are 10 famous Christian martyrs or groups of martyrs. Most of them are people from ancient past, but I also wanted to include a couple of recent martyrs to help remind us that people are still sacrificing their lives for the cause of Christ today. Acts chapters 6 and 7 give us the account of Stephen’s martyrdom. Stephen is considered one of the first Christian martyrs after Christ himself. Stephen was speaking the truth of Jesus Christ. However, his words offended the listeners. They put together a council that brought false-witness to the things Stephen was saying (Acts 6:11-13). Stephen proclaimed that God’s own people were at fault for suppressing the prophets’ call to righteousness. They even killed the Holy One, Jesus Christ. Their reaction was to gnash on him with their teeth. They ran Stephen out of the city and stoned him. Yet Stephen patiently accepted the persecution that was given to him. Stephen asked the Lord not to hold them guilty who had stoned him. He essentially repeated Christ’s words on the cross. Andrew was one of the first disciples of Christ. He was previously a disciple of John (John 1:40). Andrew was the brother of the boisterous Simon Peter. After the biblical record of Andrew’s life, he went on to preach around the Black Sea and was influential in starting several churches. He was the founder of the church in Byzantium or Constantinople. 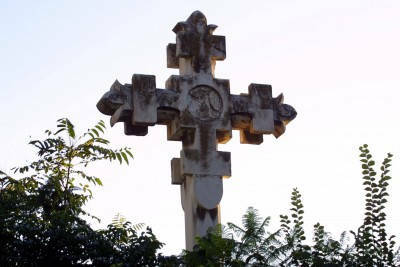 Tradition says that Andrew was crucified on an X shaped cross on the northern coast of Peloponnese. Early writings state that the cross was actually a Latin cross like the one Jesus was crucified upon. But the traditional story says that Andrew refused to be crucified in the same manner as Christ because he was not worthy. Brought to Christ by his brother Andrew, Peter is known as the disciple who spoke often before he thought. After Christ’s death Peter was the fiery preacher prominently seen in the first half of the book of Acts. He founded the church at Antioch and traveled preaching mainly to Jews about Jesus Christ. Peter was martyred under Nero’s reign. He was killed in Rome around the years 64 to 67. Tradition holds that he was crucified upside down. Like Andrew, his brother, he is said to have refused to be crucified in the same manner as Christ because he was unworthy to be executed in the same way as the Lord. As with many people in the early centuries, Polycarp’s exact birth and death dates are not known. Even his date of martyrdom is disputed; though it was some time between AD 155 and 167. Polycarp was probably a disciple of the Apostle John who wrote the books of the Gospel of John, the three Epistles of John and the book of Revelation. Polycarp may have been one of the chief people responsible for compiling the New Testament of the Bible that we have today. Because of his refusal to burn incense to the Roman Emperor he was sentenced to burn at the stake. Tradition says that the flames did not kill him so he was stabbed to death. Known as “The Morning Star of the Reformation,” John Wycliffe was a 14th century theologian. He is probably best remembered as a translator of scriptures. He believed that the Bible should be available to the people in their common tongue. He translated the Latin Vulgate into common English. He was persecuted for his stand against Papal authority. While he was not burned at the stake as a martyr, his persecution extended beyond his death. His body was exhumed and burned along with many of his writings. The Anti-Wycliffe Statute of 1401 brought persecution to his followers and specifically addressed the fact that there should not be any translation of Scripture into English. Huss was a Czech priest who was burned at the stake for heresy against the doctrines of the Catholic Church. Particularly he fought against the doctrines of Ecclesiology and the Eucharist as taught by the Roman Catholic Church. He was an early reformer living before the time of Luther and Calvin (other well-known reformers of Roman Catholicism). Most known for his translation of the Bible into English, William Tyndale was a reformer who stood against many teachings of the Catholic Church and opposed King Henry VIII’s divorce, which was one of the major issues in the Reformation. Tyndale’s English translation of the Bible was the first to draw significantly from the original languages. Tyndale was choked to death while tied to the stake and then his dead body was burned. The date of commemoration of Tyndale’s martyrdom is October 6, 1536 but he probably died a few weeks earlier than that. Pastor Dietrich Bonhoeffer was executed on June 9, 1945. I hesitated to include Bonhoeffer in this list because he was not martyred strictly for his Christian beliefs. 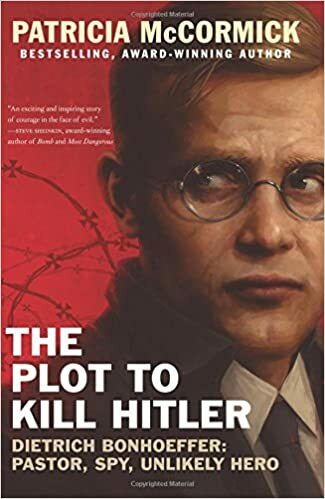 He was executed because of his involvement in the July 20 Plot to kill Adolf Hitler. Bonhoeffer staunchly opposed Hitler’s treatment of the Jews. As a Christian pastor he could not sit idly by and watch the murder of so many men and women. Dietrich Bonhoeffer was hanged just two weeks before soldiers from the United States liberated the concentration camp in which he was held. 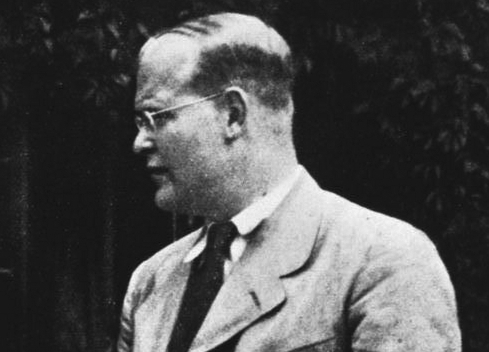 Dietrich Bonhoeffer largely derives his fame from his martyrdom at the hands of the Nazi regime. Under immense stress, Bonhoeffer’s religious convictions prompted him to fight for the true good of the German people against genocidal tyranny. Understandably so, less attention has been paid to his theology and his understanding of private Christian faith. However, Bonhoeffer’s life and writings demonstrate a vital nuance to personal, spiritual practices that ought to inform our private faith today. Before his involvement in the assassination plot, Dietrich Bonhoeffer retreated to relative obscurity and operated an underground seminary in the German town of Finkenwalde. Here, removed from the political activities of his day, Bonhoeffer gives us the best glimpse of his expectations for personal spirituality. To prepare his seminarians for ministry, Bonhoeffer mandated disciplines very familiar to us. Bonhoeffer also insisted that his seminarians fasted. Arguing that it reminded them of their “estrangement” from the world, he regarded this practice as nonnegotiable. Just as prayerful Scripture reading ultimately looks to encounter God, Bonhoeffer does not see fasting as an end in itself but rather a response to faith in Christ, a means of orienting one’s life to God. In flight from public discussion and examination, this or that person may well attain the sanctuary of private virtuousness. But he must close his eyes and mouth to the injustice around him. He can remain undefiled by the consequences of responsible action only by deceiving himself… He will either perish from that restlessness or turn into a hypocritical, self-righteous, small-minded human being. How then are we to make sense of Bonhoeffer’s actions and commands? In her essay “Bonhoeffer’s Understanding of Church, State and Civil Society,” Victoria J. Barnett, director of the U.S. Holocaust Museum’s Programs on Ethics, Religion and the Holocaust, notes Bonhoeffer’s awareness of this exact contradiction: “The Finkenwalde experiment opened up the risk inherent in any kind of internal exile, which is that it becomes a flight into a privatized kind of discipleship.” Barnett thus indicates that while the Finkenwalde period may appear apolitical, Bonhoeffer understood this apparent contradiction. However, his other writings—as well as more insight from Barnett—provide a fascinating dimension to Bonhoeffer’s personal spirituality which resolves this tension. Rather than seeing spiritual disciplines as a retreat from the world, Bonhoeffer understands spirituality as the necessary foundation for Christian political action. Retreating to Finkenwalde, Bonhoeffer was not neglecting or refusing the world. Rather, Barnett’s essay highlights how he here sought “the creation of moral backbone and the establishment of the discipline his students would need if they were to stay on the right path” under the attractive Nazi regime.